Clipper Vacations partners with more than 15 hotels in and around downtown Seattle to provide a wide array of Seattle hotel package deals. Please note that our expert travel agents can customize any of our packages to fit your transportation, hotel or duration of travel needs to tailor the perfect trip! A scenic ride from Victoria, Seattle is a quick and easy escape in your own backyard. Add an overnight stay at one of our personally-vetted hotels and spend the weekend exploring the Emerald City! 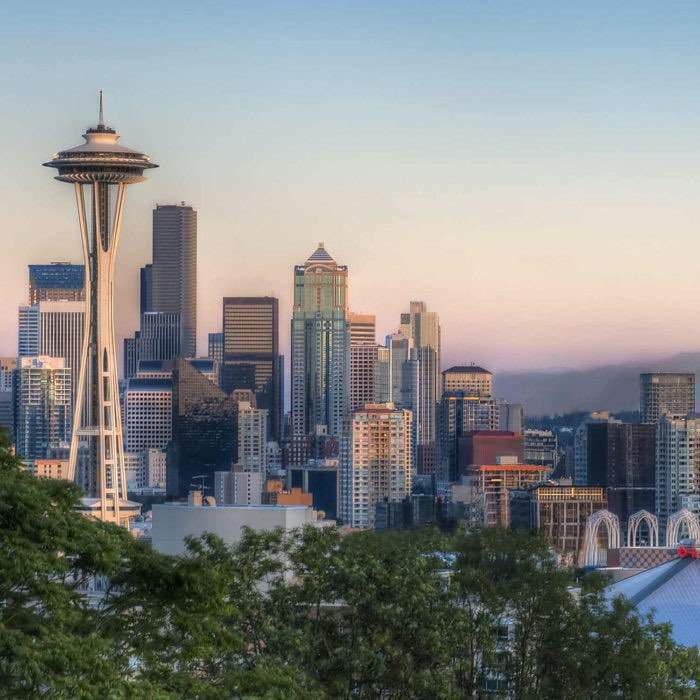 Experience the cosmopolitan city of Seattle with one of our most popular year-round packages! Hop on the Victoria Clipper ferry for a scenic cruise from Victoria to Seattle and explore everything from the iconic Space Needle to the vibrant Pike Place Market. Soak in the beauty of the Pacific Northwest with an amazing adventure between Victoria and Seattle! 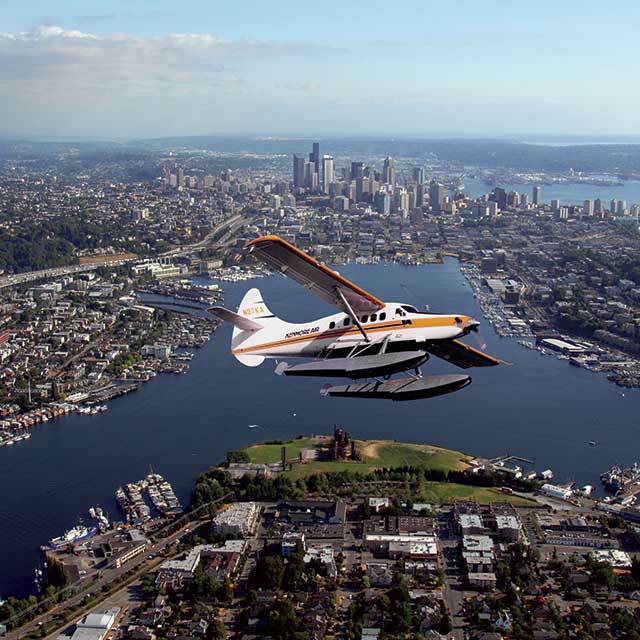 Soar through the skies on a Kenmore seaplane in one direction and cruise through the Salish Sea on the high-speed, Victoria Clipper ferry the other way. This easy overnight escape is an absolute must! Climb aboard an Amtrak® Cascades train and enjoy a scenic ride from Vancouver, BC to Seattle for a quick overnight escape! Explore Seattle’s picturesque downtown core and an endless array of galleries, boutiques and chef-driven restaurants. Let someone else do the driving and travel from downtown Vancouver to Seattle by motorcoach for an overnight getaway. Enjoy a flexible departure and 2 days to explore the Seattle’s excellent cuisine and stunning panoramic skyline. Discover two beloved Seattle attractions with a quick and easy summer escape from Victoria to Seattle! Wander through the Chihuly Garden and Glass before riding up to the observation deck of the Space Needle to soak in jaw-dropping sunset views. 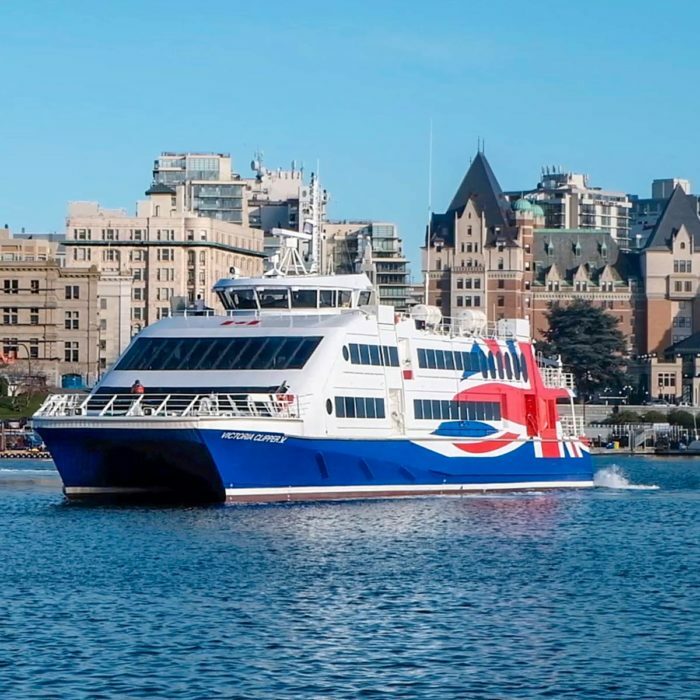 Experience glorious sunny days and easy access to an endless number of concerts, Mariner’s games, festivals and more with a quick spring or summer escape from Victoria, BC to Seattle on the sleek, high-speed Victoria Clipper ferry! Travel in style with a scenic Amtrak® Cascades train ride from downtown Portland and enjoy an overnight getaway in the maritime city of Seattle. Soak in the sights and experience all Seattle has to offer from live music to chef-driven restaurants. A wintertime favorite, the Leavenworth Christmas Lighting Festival is one joyful event you don’t want to miss! Turn your day trip into a relaxing overnight getaway with a stay at the Bellevue hotel where the tour picks up and drops off. Immerse yourself in a light-filled wonderland at Seattle’s Enchant Christmas! Explore a twinkling maze in search of Santa’s reindeer, glide past 80-foot tall Christmas trees on a magical ice-skating trail and meet the jolly old man himself! Enjoy your most captivating holiday season to date at Enchant Christmas as the immersive light experience makes its Emerald City debut at Safeco Field! Experience a dazzling winter wonderland at Enchant Christmas! Delight in 80-foot tall Christmas trees, an artisans’ market and nightly performances from local artists!